Hard money loans for real estate investors have become synonymous with today’s greatest entrepreneurial “tools.” Few things in the real estate investing industry, if any at all, can simultaneously award savvy entrepreneurs with a means to acquire a property and a significant competitive advantage. There is absolutely no doubt about it: hard money loans are pivotal to the success of today’s best investors, and there’s no reason they can’t help you succeed in your own efforts to realize your own aspirations. Of course, it’s worth noting you can’t benefit from something you don’t fully understand. To take advantage of hard money loans and all of the benefits they award investors, be sure to learn as much about them as you can. Better yet, familiarize yourself with the following Q&A to build a solid foundation on the subject. As perhaps the most important source of capital for investors, hard money lenders are nothing short of a residential redeveloper’s best friend. At the very least, hard money loans may be more integral to the success of a real estate investor than even their private money counterparts. At their best, however, hard money loans award investors with a competitive edge unlike anything else, which begs the question: What exactly are hard money loans for real estate investors? How do they work, and why are they so advantageous for those with aspirations of becoming a successful real estate investor? Not surprisingly, hard money loans originate from hard money lenders, but don’t let their name fool you. Hard money loans aren’t difficult for real estate investors to get, but rather abundantly available. Hard money lenders are, after all, organized semi-institutional lenders that are often licensed to lend money to real estate investors; it is their job to provide short-term, high-rate loans for deserving investors. Hard money loans are often more expensive than government home loans. Whereas traditional 30-year fixed-rate loans currently coincide with an interest rate somewhere the neighborhood of 4.6 percent, hard money loans could very easily triple the that, as it’s not uncommon for them to cost investors upwards of 12 to 15 percent interest. What’s more, most hard money lenders will charge additional fees in the form of points, which will vary based on the loan amount. Hard money loans are more expensive than traditional loans, but I digress. Their higher interest rates are offset by their short durations. While interest may be higher, it’s typically only accumulated over the course of a few months, whereas traditions mortgages can last as long as 30 years. On top of that, hard money loans can often be had in as little as a few days. The speed of implementation they award investors is absolutely critical in landing a deal. Instead of waiting a month to receive a bank’s approval, there’s no reason a hard money lender couldn’t get you the money you want in one or two days. Hard money loans for real estate investors are integral to the process of acquiring deals. Few assets can tip the scales in favor of today’s investors faster and more efficiently than immediate access to capital. It is worth noting, however, that not everyone is made privy to the intricacies of hard money loans, especially new investors. Nobody, for that matter, starts out with complete knowledge of the investing industry; you need to learn as you go. As a result, we have pieced together some of the most pressing questions facing new investors about hard money loans in the following FAQ (frequently asked questions). We hope it can help clarify what we truly believe to be one of the greatest tools an investor has at their disposal. The population of investors who could potentially benefit from using a hard money loan is massive, but hard money loans are best suited for real estate investors who need access to cash immediately. That said, anyone looking to fund both a rehab and an acquisition could stand to benefit from using a hard money lender. Who Provides A Hard Money Loan? Hard money loans are offered by exactly who you would expect: hard money lenders. More specifically, however, hard money lenders are organized semi-institutional lenders who are usually licensed to lend money to rehabbers in need of funds for their own investing efforts. More specifically, hard money lenders bridge the gap between private money loans and traditional institutionalized lenders; they aren’t exactly banks, but they aren’t your closest friends either. 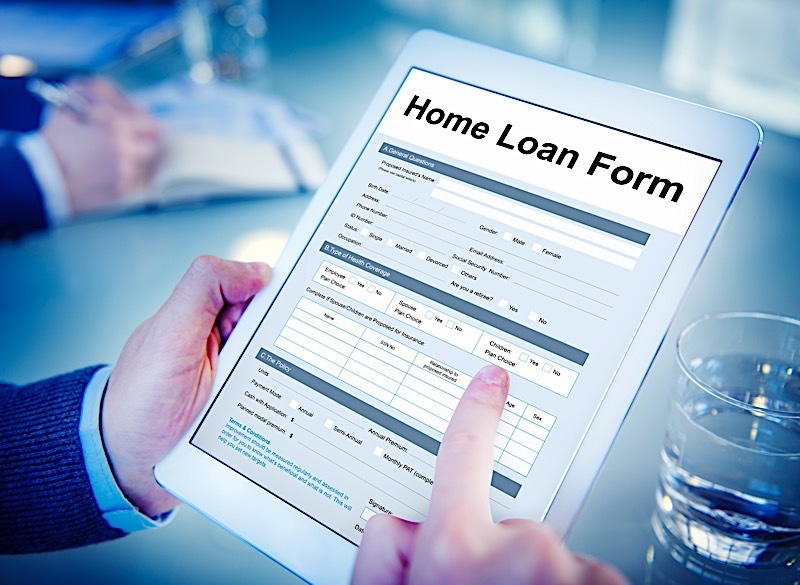 Why Choose A Hard Money Loan Over A Traditional Loan? As I already alluded to, hard money loans can be had for a steep interest rate, often times three times higher than a traditional loan. It is quite common for hard money loans to come with interest rates as high as 15 percent — and that doesn’t include the points that are often tacked on. However, the length of time it takes to get the money from a hard money loan into your own hands is worth the price of admission. While they are more expensive, hard money loans can often be used within days, if not hours. Therein lies the real reason investors covet hard money loans: speed of implementation. Traditional loans can take as long as a month to clear, but hard money loans can be used almost immediately, which gives investors a clear advantage. It is often worth paying higher interest rates if it means you can close a deal. Hard money lenders are nothing, if not fair. More importantly, most hard money lenders won’t base their decision to lend to borrowers solely on their personal credentials (credit score, savings, etc. ), but rather the subject property’s potential. Now, that’s not to say a borrower’s credit doesn’t carry any merit, but hard money lenders are asset-based, meaning they will decide whether or not to lend to a borrower based on the property itself. If the property has potential to make a profit, they are more willing to lend out their money. If, however, the property exhibits a poor potential for return, they may pass on the opportunity. In other words, the more potential the property has in the hands of a competent borrower, the easier it will be to qualify for a loan from a hard money lender. What Fees Are Involved With A Hard Money Loan? The fees associated with hard money loans do not conform to traditional credit guidelines, which are usually put in place to protect banks. Instead, the fees associated with hard money loans serve a dual purpose: to protect the lender while simultaneously giving them a generous return on their investment. If for nothing else, the fees need to be attractive enough to make lenders want to lend in the first place — and I can assure you that they are attractive, indeed. Fees for borrowing money from a hard money lender are often three to five points (upfront percentage fees) and an interest rate that can reach upwards of 15 percent. Each hard money lender will have different terms, but expect a handful of points and an interest rate somewhere around 11 to 15 percent. Hard money loans for real estate investors are commonplace in today’s housing industry. Hard money loan financing is, after all, one of the best ways to fund a deal. Despite being more expensive than their more traditional counterparts, hard money loans are worth the added interest costs. While it’s true, you will pay more in interest, you will only be paying it for the duration of the rehab (three months, on average). Not only that, but hard money loans can often be had in as little as a few days, which is more than enough to give investors an advantage over those using more traditional means. There’s no doubt about it: despite their cost, hard money loans are well worth their acquisition. Hard money loans for real estate investors have become the most dependable means of financing deals. What is a hard money loan for real estate, if not for the single greatest financing vehicle? Come up with your own questions to ask a hard money lender, as to make sure you are working with the right individual.